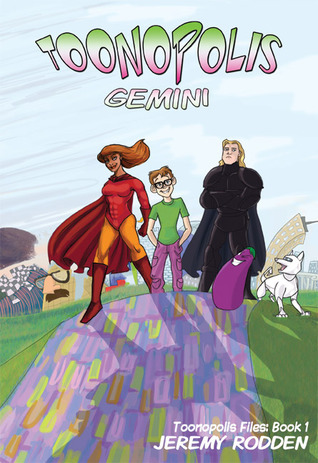 Your debut novel, Toonopolis: Gemini, is a completely original, unique piece. What led you to write this novel? What were your inspirations, if any? Two of my favorite authors are Lewis Carroll and CS Lewis. Both of them were able to create unique fantasy worlds that were linked with the “Real World” and appeal to readers of all ages. One of my biggest goals in writing a novel was to write something that could share that classification. I pulled pieces of my world-building from tons of sources: cartoons, comics, movies, books, and video games. I’m a big geek. As a former high school English teacher, one of the things I always tried to do with my students was link new material with prior knowledge. I hope that anyone who reads this book will find a sense of familiarity and connect their own forms of nostalgia to the story that would make them connect to my world in their own way. The idea of a cartoon world based on human thoughts, in juxtaposition with the human world, was a really ingenious idea! Was it difficult to create the cartoon world? Is there any particular reason you chose to portray cartoons as your main characters? I wouldn’t say that it was ‘difficult’ per se. I have had ideas floating in my head about Toonopolis since I was 18. I created it originally as an interactive fiction game with some friends. The game only lasted a few years, but I continued growing and building the world in my head and in my trusty black-and-white copybook whenever I had new ideas. I also have had some great friends who would ask me questions, “What would happen if…?” “Does this work in the Tooniverse?” etc. They helped me question rules just by having to come up with answers to their questions. I chose cartoons because it is a universe that has no real limitations other than those within one’s imagination. I really enjoyed the human-cartoon interactions in movies like Who Framed Roger Rabbit? and Cool World but didn’t like that the cartoon worlds existed independent of humans. Combining these ideas with a concept from The NeverEnding Story (Fantasia being a metaphorical representation of the hopes and dreams of humans) led to the more direct linking of the Tooniverse and the Universe. Is there a specific character that you identify with in your novel? Who/Why? Jimbob the Talking Eggplant is the one that would probably most often be the character to “say what I would say,” so to speak, in any given situation. Much to the chagrin of friends and family, I am known for snarky one-liners and snappy responses that are sometimes funny/sometimes annoying/sometimes painful. Are any of your characters or stories based on aspects of your own life (explain)? In a way. Some of Gemini’s teen angst and father issues stem from my own. Having been raised by a single mother, I identify a lot with Gemini’s father abandonment problems that are brought up early in the book. Is there anything specific you hope readers take away from your novel? I just hope that they have a few laughs and enjoy themselves. Unlike The Chronicles of Narnia or His Dark Materials, two wonderful series, Toonopolis Files do not have any underlying agenda or religious allegory to them. In the vein of Alice’s Adventures in Wonderland, I wrote this book as entertainment, pure and simple. Many people try to read into Lewis Carroll’s writings for hidden meanings and other such nonsense, not realizing that the entire point of Alice was simply that: nonsense. There is a lot of humor in Toonopolis: Gemini that caused me to laugh aloud. Was writing the humor into the novel difficult, or just something that comes natural for you? What’s the writing process like for you? Do you have a special place that you like to write, or any special rituals that you go through before/during the writing process? As a stay-at-home dad to two boys (6 and 1), I write when I find time. Ideally, I like to be in a comfortable place with my boys asleep. The most important to me is having my writing playlist going while writing. I can’t write in silence. My writing playlist consists of mostly instrumental stuff: movie scores, video game soundtracks, instrumental rock, classical, or non-English lyrics. The only music on my playlist that has lyrics is music to awaken the nostalgia in me that I try to awaken in others (primarily rock music from my teens). Do you have a playlist in mind for your novels? If so,what music would you recommend a reader listen to while reading? Video Game music is one of the best soundtracks. Heavy on the Mega Man and Final Fantasy, predominantly. There is one band that I want to tap if I ever decide to have music commissioned specifically for Toonopolis, such as in an animated show or film: The Coconut Monkeyrocket. It’s a single guy who layers music in a kind of a progressive/silly jam style that really captures the essence of Toonopolis. Martinibomb is another similar type of artist. I have wanted to be a writer since grade school. I was very engrossed with Beverly Cleary as a kid and one of my favorite books was Dear Mr. Hensaw. It was an epistolary novel about a kid writing to his favorite author. If I had to pick one book that inspired me to become an author, I’d have to go with that one. Well, I am on Goodreads if anyone wants to compare reading lists. Right now I am finishing up the latest Artemis Fowl book and also reading a non-fiction book called Reality is Broken: Why Games Make Us Better and How They Can Change The World by Jane McGonigal. I have a lot of reading to catch up on since I spent the last few months editing and publishing Toonopolis: Gemini. It’s hard to read for enjoyment when in “editor/publisher” mode. Upcoming books on the shelf: Rick Riordan’s The Lost Hero and the two Kane Chronicles books, a few Neil Gaimain books that have been begging for me to read them, and some independent author works, like Doodling by Jonathan Gould. How many more novels do you foresee in the Toonopolis series? What can readers expect as they read this series? There are two already announced to follow up to Gemini. Chi Lin should be out in the late fall of this year. Zephyr will be out, hopefully, early summer of 2012. These three books will act as a trilogy, tying together one over-arching storyline involving Special Agent Mimic being heavily involved. Each book has a different main character, but there will be a lot of overlapping with characters and locales that people will, I think, enjoy. Minor characters in one book will be major characters in another. What can readers expect? More of what they got in Gemini. Plenty of laughs (or at least pained groans), silliness, and slapstickiness. Lots of new sections of Toonopolis. More exploration into the rules that govern the Tooniverse and how it is linked to beings in the universe-proper. I also have a number of Toonopolis Shorts that will be short stories about some of the minor characters seen in the three books. I am planning on releasing them in eBook form as I complete them and compiling them into a collection for print once I have several complete. 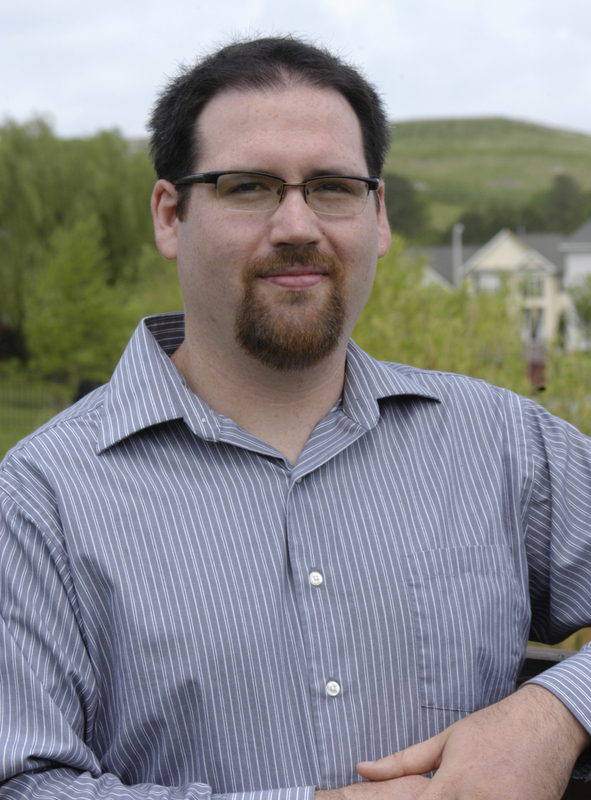 The last currently planned series is a new dual-trilogy that will be co-authored by a friend. This will be a new trilogy that will bring back a lot of characters from the first three books and introduce a world of new ones. I won’t explain right now what I mean by a dual-trilogy, but it’s a work-in-progress concept that my friend and I are developing that I think will be very cool and unique if we pull it off. Thank you Jeremy!!! I really enjoyed having you on the blog today and cannot wait for the next book in the Toonopolis Series!